Some people swear by a keyboard and mouse. Some prefer a controller, but when it comes to things like flight simulators or games where surgical precision is needed, you just can’t beat a joystick. When coupled with a good gaming chair, a joystick brings you one step closer to fulfilling your aerial dogfight fantasies and enhances the experience beyond measure. There are so many different kinds on the market, though. Don’t worry – we’ve found some of the very best joysticks around and compiled them into an easy to read list. This lets you spend less time worrying about the little things and more time mastering your maneuvers, so get out there and start training, captain. Below, you’ll find the name of each product we’ll be reviewing. This should give you a basic idea of the joysticks we recommend, but hold off for a while since we’ll be covering each in more depth very shortly. Now that’s out of the way, let’s talk a little about what we’ll be looking for. Each joystick we’ll be talking about will have its own strengths and weaknesses, and it’s our job to address these both equally. We’ll also be suggesting the type of person that they’d be best suited to. Without further ado, let’s begin with the Thrustmaster USB joystick. 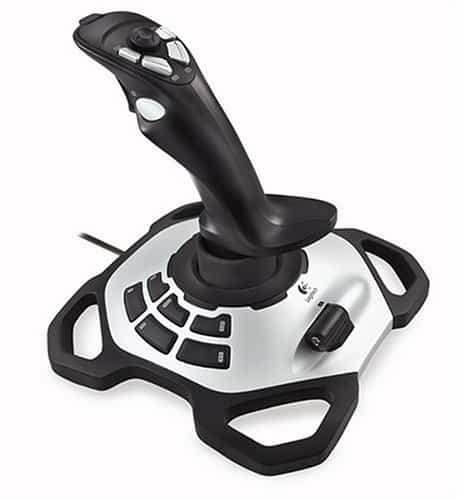 Whether you’re just interested in trying out a joystick for the first time or you’re working with a tight budget, this USB joystick from Thrustmaster is a great place to start. It has a very low price point at under 20 USD but despite this, it’s the only entry-level joystick that has a point of view controller. 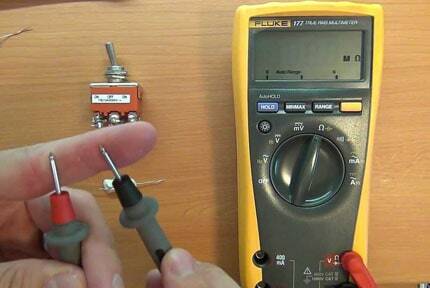 This is an 8-way toggle switch on the top of the stick which can be easily triggered with your thumb. It controls the in-game camera and works much more intuitively than mapping individual buttons to look left and right, providing a much more satisfying experience. As well as this, it has four customizable buttons, a base mounted throttle and a trigger. This means that whilst it isn’t recommended for control-intensive games like Elite Dangerous, it’s perfect for people looking to try out a flight sim for the first time. The simplistic controls make it a cinch to use and the inclusion of an analog throttle is another feature not often seen in low-priced models. The stick is a decent size: 9.5” tall, 6.6” deep and 6.4” wide. The hand rest on the base of the stick is enlarged for maximum comfort and although this unit is made of plastic, it still looks pretty high-quality. This joystick allows movement along three axes: pitch, roll, and throttle. This is enough for many simpler flying games, but the lack of yaw control is a limiting factor here. To change the direction you’re facing, you’ll need to use a keyboard or some other control method. As it’s so inexpensive, there aren’t many bells or whistles to speak of – there’s no vibration or force feedback, and it relies entirely on a wired USB connection. The stick itself is pretty comfortable and fits well into your hand, although it is made of plastic and can feel a touch too light at times. The base is weighted, which is very welcome, but the unit is still pretty light at 1.2 pounds. It does have non-slip pads on the bottom to prevent any sliding when in use, though. The good news is that older operating systems are supported, so this stick is perfect for old classics like X-Wing vs. TIE Fighter. Whether you’re running Windows 98 (PLEASE upgrade) or Windows 8.1, this stick will work, but unfortunately, there’s no support for Mac systems and Linux support is heavily dependent on your distribution and version. There’s a lot to like about this joystick. It’s a simplistic stick designed with ease of use in mind, and it even manages to include features that a lot of entry-level sticks would usually omit, like the throttle or point of view hat switch. 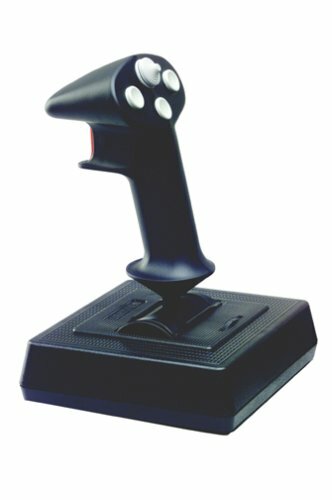 Seasoned flight sim veterans will likely find this model a little underwhelming, but for novices, there really is no better joystick to start with. 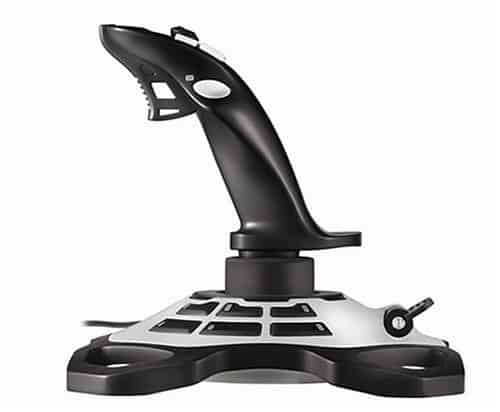 The Logitech 963290-0403 Extreme is one of the more popular joysticks available. It comes from a well-established and trusted manufacturer and better yet, it’s pretty inexpensive at just under 35 USD. This is nearly double the price of the last model we reviewed, but is still classed as an entry level joystick – so what benefits do you get for your extra money? Well, firstly, this stick uses four axes as opposed to three. This means that as well as pitch, roll and throttle controls, you can also adjust the yaw by twisting the stick left or right. This makes it perfect for more advanced flight simulators and makes the trickiest of maneuvers much simpler to perform once you get used to it. You also get 12 reprogrammable buttons as opposed to 4. The eight-way hat switch is still present, although this model uses an actual switch as opposed to a thumb activated toggle. This is a little trickier to use in the heat of the moment but does give you the feeling that you’re actually flying instead of playing a game. The trigger is responsive and can be fired rapidly in quick succession, rather than being weighted, which is nice. The setup of the product is nice and works well if you’re right-handed, however, for lefties, it’s a bit more difficult. The buttons are mounted on the base to the left of the stick and you’re supposed to rest your left hand here for quicker access – not exactly intuitive for the left-handed user. That said, the base is comfortable and the buttons are all easy to reach, plus the black and white color scheme looks great. This device is USB powered and works on any Windows operating system as long as it’s Vista or later. Again, no luck for Mac users, but in our tests, it worked as intended on various Linux distributions, which can only be a good thing. There’s no force feedback, which is a shame, but not unforeseen – this feature is usually found on the slightly higher-end models and would have raised this from being a very good product to a must have one. We did like the weighted base, though; at 2. 5 pounds, it’s unlikely to slip when in use and it had a pleasant heft to it. 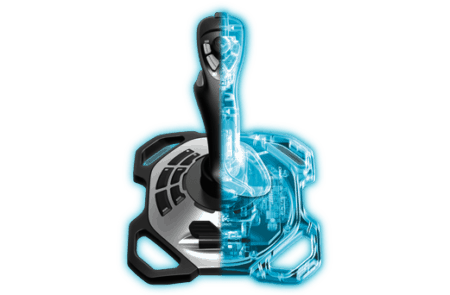 Logitech includes a three-year limited warranty with this joystick. This means that if it’s dead on arrival or breaks through no fault of your own within 36 months, they’ll repair or replace it at no cost to you. This is excellent news! Although it’s not what we’d call an expensive product, it’s always nice to have that safety net, just in case. Overall, this joystick is great for an intermediate user. It offers a good amount of customization and its four-axis control setup allows for precise control over the finer aspects of most flight sims. The warranty and low cost are attractive factors too, so if you want a solid and inexpensive joystick with financial peace of mind included, this is the one for you. The CH Products Flightstick Pro is a joystick which is simplistic enough for kids to master, yet advanced enough to provide support for a fairly in-depth control system. This flexibility comes at a price as this model is a little under 75 USD, so how well does this model justify its higher cost? As well as being suitable for children, it works equally well for both left-handed and right-handed users thanks to its special ambidextrous design. There is a throttle wheel to the left of the joystick, as well as two rotary trim wheels (one above, one below) which let you roll or adjust altitude without changing your pitch. In total, there are 12 programmable buttons, including an eight-way hat switch and CH Products include their own software which allows you to fully customize what each button does or even set up macros to perform more complex tasks with a single press. There is no yaw control, but you can roll, adjust pitch, throttle, and elevation. This last feature, in particular, is rarely seen on mid-range joysticks and is a welcome addition – it is of particular use in dogfighting games where the less time spent changing position, the better, and we’re glad to see it included. There is another reason why this joystick is recommended for kids: this company prides itself on the durability of its products. This one, for example, is made with military-grade materials and high-quality industrial components, so it’s not going to break if it’s knocked off of your desk or handled roughly. It has a good weight to it, at 2.4 pounds, and the non-slip feet on the base help to minimize any accidental movement that might occur. This product supports operating systems as old as Windows 98 or as new as Windows 10. It’s also supported on Linux and even MacOS 8.6+ as long as you have the Input Sprockets software with a version of 1.7 or higher. The joystick is attached via a seven foot long USB cable for greater versatility and has a very high sensitivity for maximum precision. This can be adjusted to allow for less accurate motor controls, but veteran users will appreciate the degree of freedom and control this provides. Whether you’re looking for a joystick that the kids can play with or you’re interested in playing some of those retro classics again, the CH Products Flightstick Pro would be a great choice. It has a range of functionality that is both forgiving and highly versatile, plus it works just as well for left-handed users. If you have a little extra money to spare, the Flightstick Pro will offer you and your children room to grow your skills and won’t be breaking anytime soon. The Saitek PS28 X52 is another pretty significant jump in terms of price (it costs around 160 USD), but with these higher costs come more advanced features. For what it’s worth, it definitely looks the part; it’s covered in buttons, lights and even comes with a separate throttle so you can position it just how you like it. The throttle has a number of dials, buttons, and sliders, as well as a resistance adjustment control on the side. Taking centre stage, though, is the LCD screen on its base. This is backlit and the brightness can be adjusted to your liking, plus you can choose what information to display by configuring it in your game menu. There are also detents which require you to use more force to activate your afterburners, which is a nice touch. The joystick itself has a centring mechanism which makes it return to centre when idle and can be moved into one of five handle positions for maximum comfort. As well as pitch and roll, you can adjust your yaw by twisting the stick to the left or right, plus, if you don’t want this option, there is a convenient rudder locking switch which allows you to use a more basic control scheme. Customisation is king for this model. The joystick has two hat switches, three regular switches and six buttons, making it one of the most versatile around. Saitek also includes a copy of their Smart Technology software which allows you to create control presets for a wide array of different games – there’s no need to reconfigure when switching game. Also, most common operating systems are supported: Windows and Mac are both covered, but again, Linux support varies by version. This unit is pretty light, weighing a little over a pound, so it does tend to slide around when used vigorously. To remedy this, the manufacturer has included screw holes so that you can mount each controller to a desk if you’d like. Whilst this is great for die-hard enthusiasts, most people won’t have a dedicated flight sim area in their home, so we’d have preferred to see a little more heft to this unit, or at the very least, some kind of clamp system so that we wouldn’t have to drill holes into our desks for the best experience. Versatility is this joystick’s main selling point. There are more than enough buttons to set up most commands twice, and the separate throttle is a nice touch. We really liked the LCD screen, although, in practice, it’s not all that useful. 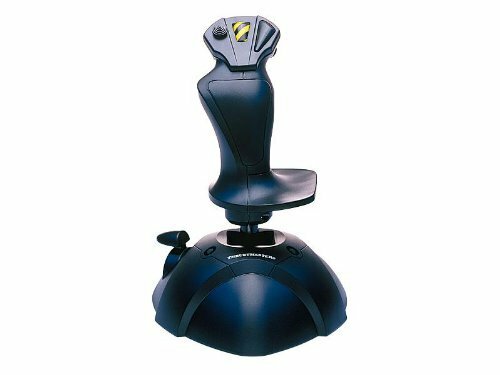 Ultimately, we wish that Saitek had offered full Linux support and a better mounting option, but found this joystick well deserving of its price tag and a blast to use. This is the big one. 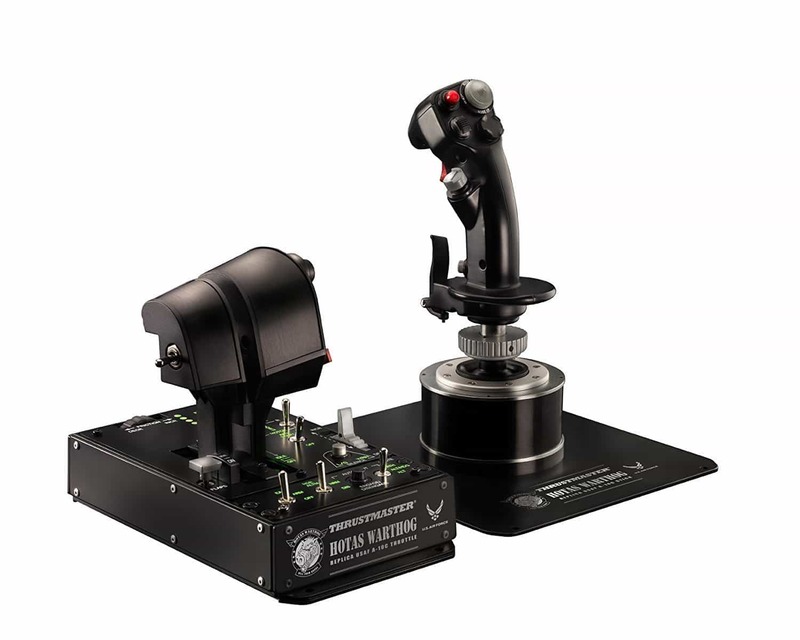 The Warthog joystick from Thrustmaster is an exact replica of the US Air Force A-10C’s. It’s another throttle/joystick pairing and it offers a level of detail and versatility that is unmatched by any of its competition. Just as well, really, as this package comes with a price tag of around 500 USD – way beyond what the casual user will want to pay. Firstly, the handle and base of the joystick are detachable so that you can use it either in a cockpit or with a different base. Its buttons and triggers require the same amount of force as an actual aeroplane does and let’s not kid ourselves: there are a lot of them. The joystick alone has two 4-direction hat switches and between the two units, there are 55 programmable buttons and switches. The throttle has two levers which can be used together or independently. These have a manual resistance dial to allow for your personal taste, as well as a trim wheel, 15 action buttons and multiple metal switches (each with two or three positions). 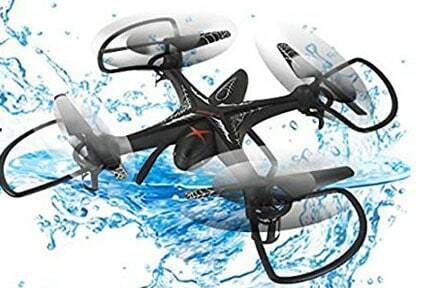 This unit is backlit and has 5 programmable LEDs for low-light conditions – great for night flying. 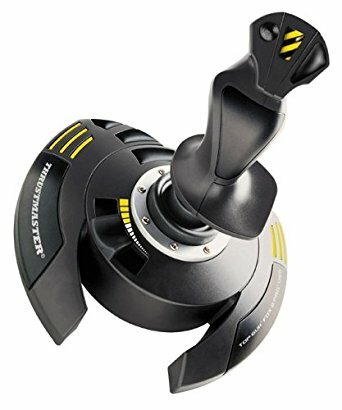 Thrustmaster claims that this joystick has surgical precision – that joystick is going to return to the exact centre for a very long time, and since it uses magnets to do this instead of bearings, there’s no wobbling and no need to replace them when they wear out. It is a pretty large setup and as such, will require a good amount of desk space. Together, the stick and throttle are 18” wide, 12” deep and the stick is almost 10” tall, but there’s no need to worry about any unwanted movement – they each weigh around 13 pounds, so they aren’t going anywhere. There is no need to clamp or mount these to a desk since they’re so heavy, but if you have a custom cockpit setup, you’ll likely need to spend some time attaching them. This product works with not just Windows, but also MacOS and Linux, and better still, it comes with a two-year warranty, which is fantastic given the high cost of this product. This is sure to be a huge draw since not many people are going to buy such an expensive peripheral without some kind of a guarantee, and two years is more than long enough to attest to the product’s hardiness. Like the others in this list, it connects via a simple USB port and installation is easy – just install the Thrustmaster Warthog drivers from their website. For a casual user, this product is overkill. The high price point coupled with the large amount of space required ensures that only the most dedicated flight sim fans are going to buy this model. The good news is that it doesn’t disappoint in the slightest – the controls are infinitely customisable and ultra-responsive, plus it makes you feel like you’re piloting a plane rather than sitting at your desk. If you’re a die-hard fan and you have money to spare, this is just about the best stick you can get. Joysticks seem pretty simple, right? It’s a stick and it moves around. The reality is that it’s a little more complicated than that, though, with many models offering huge amounts of customisation. Luckily, we’ve created this short guide to allow you to understand a few of the more important specifications of a joystick instead of spending lots of money on one that won’t fit your needs. Some of the simpler flying games will only have a handful of controls, and for these, you’ll probably be okay with a basic joystick, but when it comes to the more realistic simulators (which often have hundreds of functions), you’ll need more customisation. This is why you sometimes see joysticks with more buttons that you’d ever need – you might not use them all, but they give you the opportunity to set up the controls just how you like them. As well as buttons, these products often have hat switches. These are just switches which rotate to different positions – often they’re used to rotate the camera, but if you have multiple, you can assign functions to them just as you would a button. These take up a lot less space and are often easier to reach in a hurry, so if given the choice between 8 buttons or one eight-way switch, choose the one with the switch. If you have a little more space, consider buying a stick with a separate throttle. This allows you to position it wherever is most comfortable and doesn’t require you to hunch over the stick. Flights in a simulator can sometimes take hours, so more than ever, it’s important to consider your physical comfort. 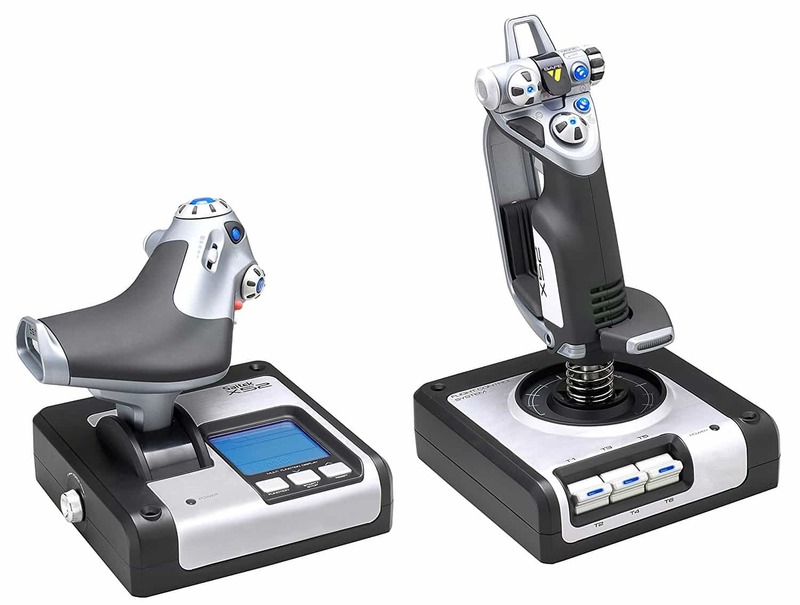 More expensive joysticks are often replicas of real-life aircraft. These tend to look a lot cooler than the less expensive competition, but often they trade versatility for realism. Have a think about whether it’s practical enough to meet your needs, or if you only want it because it looks good. One important thing to consider is the number of movement axis. If you can control pitch and roll, but not yaw, you’ll need to use a keyboard as well as your joystick, which is less than ideal in the heat of the moment, but sometimes it’s difficult to roll or pitch without also changing direction. The best joysticks have a yaw locking switch for these moments, so take a look and see if the one you’re considering has this feature. These terms can often get confusing, and doubly so if you’ve never played a flight sim before, so for a quick explanation, check out the article here and you’ll be flying in no time. Your operating system is another important factor. Most joysticks support Windows, but you’ll likely have to look a little more closely to find one with Mac or Linux support. 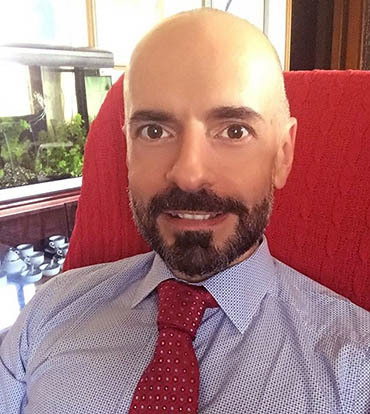 The last thing you want is to receive the product you’ve been dreaming of, just to find that it doesn’t work with your system, so be sure to double check this before you spend any money. How heavy is the joystick? Is it going to slide around when you’re using it? If so, is there a way to mount it to something? Most of the higher-end sticks will have mounting holes on the base, and some even come with a clamp, but since most of us don’t have room for a dedicated flight system, it should be easily removable too. Which joystick is best is the topic of heated debate since everyone has their own preference and as a result, choosing just one was a really difficult decision to make. Every joystick we used had its own appeal, but ultimately, we’ve come to the conclusion that the Logitech 963290-0403 Extreme is the best for most people. It has a four-axis control scheme and enough buttons to map everything you’d ever need, plus it supports Linux. Even better, it’s relatively inexpensive and you can decide if you like joysticks without breaking the bank. So now that you’ve read our reviews, you’re ready to take to the skies, boldly going where only the best have gone before. You’ve got a long road ahead, but we believe in you. Get suited up and touch the sky with your tried and tested equipment at your side. Now that you’ve read our guide, take time to read our other guide about the best smartwatch under 50 USD. This will help you to choose your next gadget.